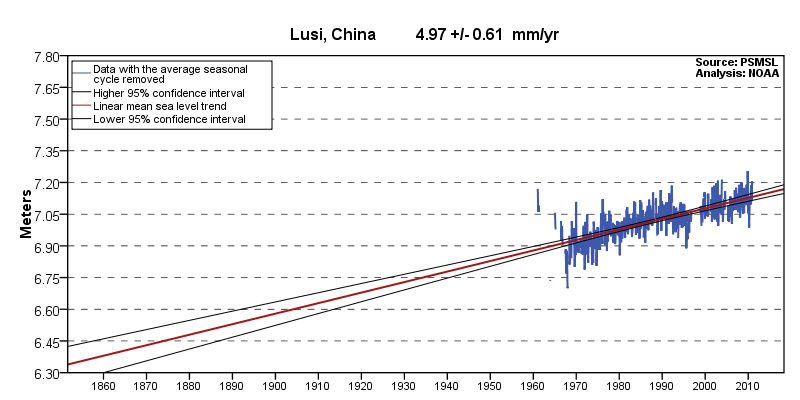 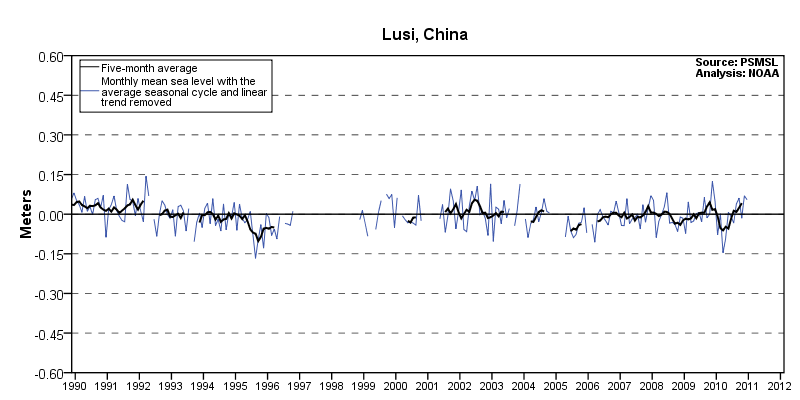 The average seasonal cycle of mean sea level, caused by regular fluctuations in coastal temperatures, salinities, winds, atmospheric pressures, and ocean currents, is shown along with each month's 95% confidence interval. 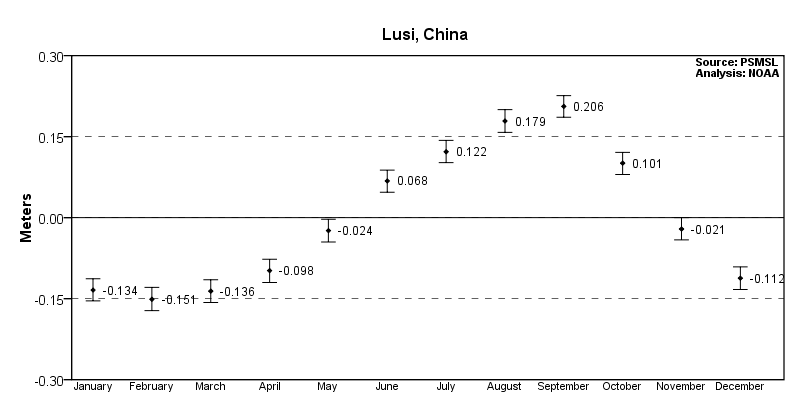 For local and regional comparisons, the calculated average seasonal values for all non-CO-OPS global stations are available as a table in meters. 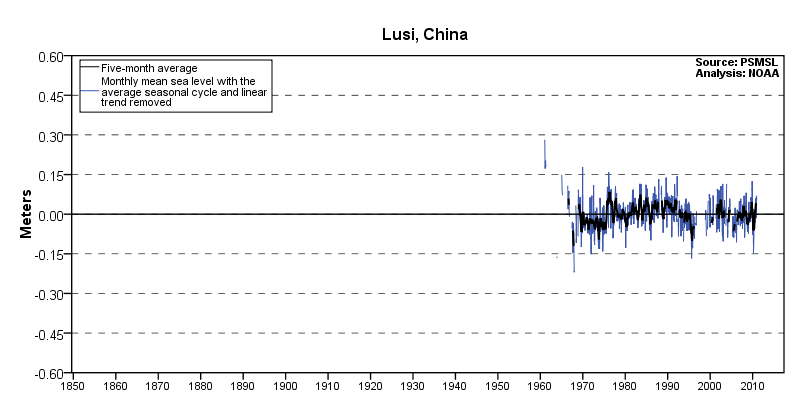 There are no additional products available for the non-CO-OPS global station: 610-032 Lusi, China.